Could something be sabotaging all your good efforts in your community? Could some not-so-silent and yet ignored force be hampering growth, crippling your local economy, and killing local business? I'm afraid the answer is yes, and regardless of what happens on election-day, this killer will remain. You cannot vote this business killer out of office and yet you must do something about it if your community, your businesses, your chamber are to survive. Give me just a few moments and I promise I will help you stop this madness in your community and in the process I'll share with you two simple words that translate into 22% increase in profitability. 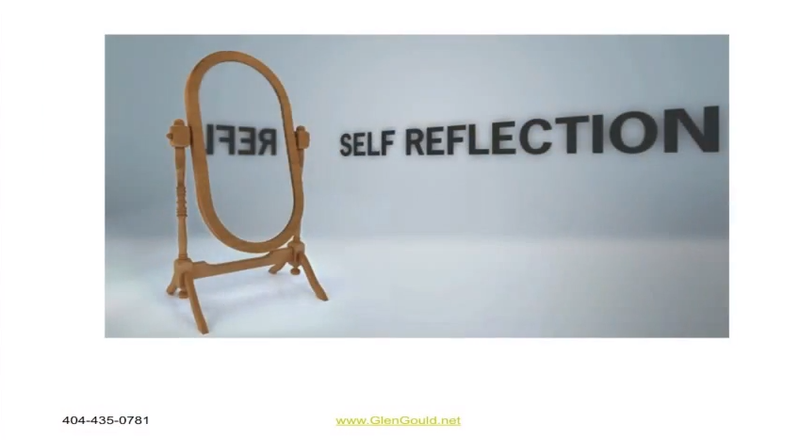 Hi, I'm Glen Gould. 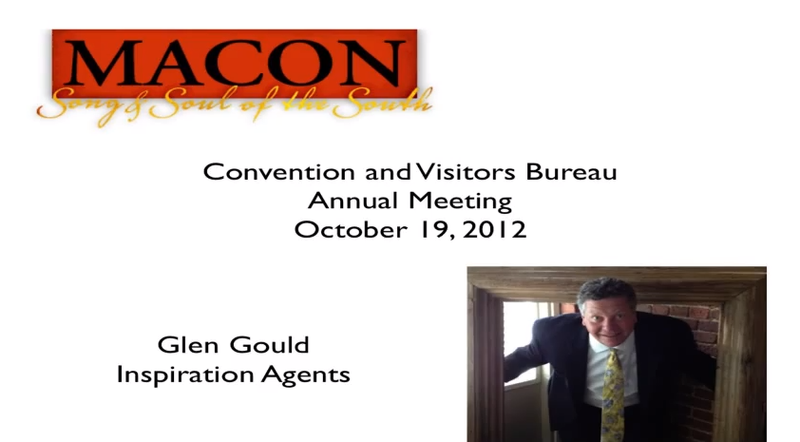 Many of you know me through my work with Ben Turpin and the Inspiration Agents. Before you assume this message will be about how you can grow your membership, sales training, or effective networking for your members, please stop right there. Those topics are important and while I still teach them, what I will share with you in the next few moments is far more urgent, far more important, and it will change the way you will look at your chamber and community forever. That's right, forever. Once we're done today you'll have a choice to make. You can continue with the status quo, or you can lead your community (and thereby your chamber) into a new era of success. And you'll make this choice whether you want to or not because you'll now be aware and awareness requires choice. The choice will be to act or not to act. Here's how all this began. I've had the privilege of working with hundreds of chambers and tens of thousands of businesses and their employees over the past seven years through speaking at the American Chamber of Commerce Professionals Annual Meeting and state conferences, at over 100 chambers, through our Third Thursday Free Conference Calls, and through working with national companies like Allstate Insurance and Subway. And during that time I've continued to watch well-meaning people, good, hardworking business owners, chamber professionals, and their staff members all but ignore a killer in their community. These well-intentioned people spend hundreds of hours of staff and management time and hundreds of thousands of dollars every year providing excellent, professional training in sales, marketing, social media and social media marketing, networking (believe me I know, I've done a lot of it and I'm grateful), accounting, starting a business, and hiring principles. They attend and/or provide programs for selling to big business and government, connecting for success, identifying your target market, and so much more. And all or most all of them are excellent information. Many even deliver effective results. But in every community I visit I find the same issue is holding those communities back. The problem exists in Abbot, Maine, Zzyzx, California and everywhere in between. Just yesterday I experienced this problem twelve times. No doubt you did too. The causes are many however it is an epidemic with seemingly no cure. And worse still, everyone sees it and no one seems to be able to do anything about it. Now before I identify this killer of business for you, I want to warn you that many of you will quickly dismiss it once identified. In truth, most of those who find this video or letter won't get this far - that's exactly why you should listen, read on , and act. Doing so will give you the opportunity to have your chamber and your community rise above those who don't. You see, it's so prevalent and ubiquitous that we assume it is normal. Trust me, it is not normal. And a whopping 68% state "perceived indifference". In other words, they feel that their business is not appreciated, or not needed. Let me stop right here and tell you in no uncertain terms - you are appreciated by me and hundreds of your chamber members. I need your business and so do the many businesses you patronize on a daily, weekly, and monthly basis both personally and on behalf of the chamber. But here's the bad news - those numbers are seemingly in the past. In the Customer Experience Report 2010, 82% of people who stopped doing business with a company did so because of poor customer service. Could this be news? Not if you can do the math like I can. If you take the 68% who perceive indifference and add the 14% who are dissatisfied, you'll find that equals 82%. That means that you have the opportunity to improve your members' chances of success by 82% if you will just improve their customer service! Imagine the impact. Not only for those businesses that are members of your chamber, but for the hundreds if not thousands of potential businesses in your community who might join your chamber if they could find something you offer that no one else does. This is the next generation of chamber focus: How do we make our chamber indispensable? By becoming the home of business success! How do we do that? Well apparently 82% could be through championing customer service. What 's more, imagine this scenario: A major company is considering relocation to your region. They've visited several communities without letting anyone know they're interested. Stealthily they visit your community. They troll the websites of schools, higher education, municipalities, public works, and your county government. When they come to your community they check out the infrastructure, available facilities or sites, and they stop in to a local restaurant or retailer to gain some local perspective. That's right, a couple of interactions with front-line employees may be all it takes to become the front-runner or the also-ran. You are relying on the service in your local businesses for your community's future. Imagine the loss in revenue in your community, the loss of tax dollars generated by that revenue, the loss of jobs, and the lost opportunities for your members and the community. This loss is your big opportunity. Your members and potential members, your citizens, their children, they are all relying on you. You have a greater impact than you can possibly know. Most businesses will tell you they expect the local Chamber to provide programming to help them with their businesses. And you do. But what could be more important? What greater impact could you provide? Well, I promised I'd help you. Here's what you can do right away. Next, share this with your board, your members, your colleagues and your friends. Begin talking about the problem because it is a problem. Awareness can go a long way in solving it. Many aren't aware they provide or accept poor service. Most don't believe they can do anything about it. Third, launch a Customer Service Task Force. Put this issue on the same level as your other committees or task forces. This will create awareness that your Chamber is serious about this issue. Then, hold Customer Service Roundtable discussions. Hold one for Hospitality, Retail, Industry, and Government Services. Other sectors may apply in your community. When holding these sessions it is essential to invite non-members to the table. Create a list of potential attendees, mail them an invitation, follow up with an email and finally a phone call. They must know this isn't a typical chamber request. Finally, invite me to speak at your chamber. I'd love to come in and help your community become the customer service capital. You can do it and I can help you get there. If you haven't already clicked some of the links to see parts of my program, please on the links on this page. 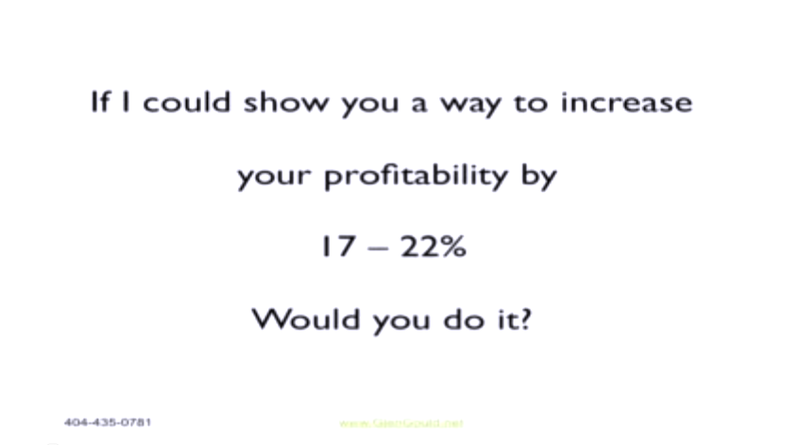 And by the way, those two words that I told you can improve your profitability by 22% can be found by clicking on the video named “22% Increase”. It only lasts a minute or two but it is a powerful example. Well, that's it. My manifesto on what I believe is the biggest single correctible problem plaguing our businesses and our communities. And it is the single biggest opportunity for Chambers to positively impact their community. This is your opportunity to effect change. It's been said that you'll only be remembered for two things, the problems you solve and the problems you create. Here's your opportunity to be remembered. What will be your choice?